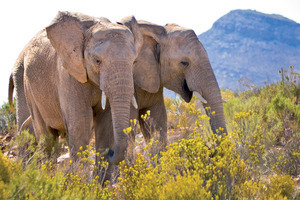 This package is the perfect introduction to South Africa. 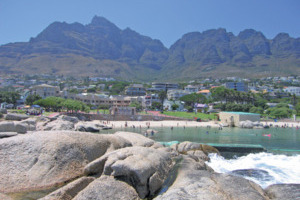 Start your trip with five nights in the coastal area of Cape Town - Camps Bay where you can explore the city's attractions. 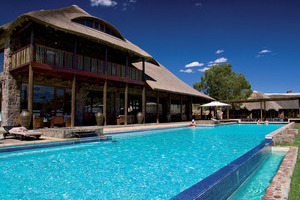 Next stop is your safari lodge where you'll get the opportunity to spot the 'Big 5' on your game drives which are included in this package. 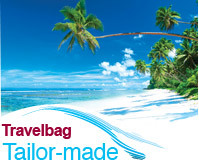 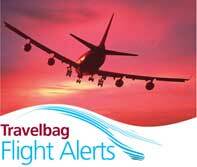 Package includes: Flights, hotels & 2-Days' economy car hire. 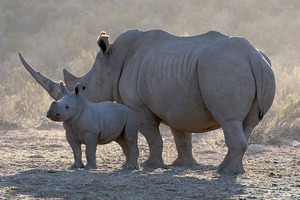 Since Aquila Private Game Reserve was founded, its ethos and that of their team of dedicated staff, has always been to educate guests on the importance of wildlife conservation, how it affects us all and what we as individuals can do to protect it and indeed the environment. 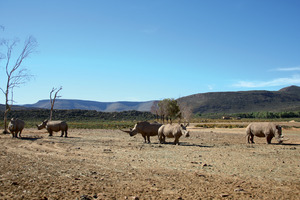 Aquila is not yet another luxury game reserve and lodge, its primary purpose is to offer an educational experience to all who visit in the hope that knowledge will enrich our understanding of the importance of living in harmony with Mother Nature. 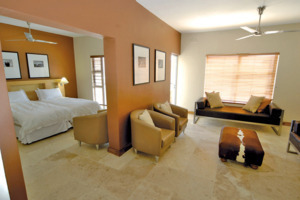 Thatch, slate and natural rock elements are featured throughout, especially in the bathrooms. 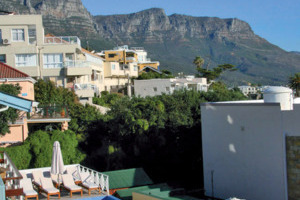 Rooms open up to a private terrace so guests can experience a true African sunset while enjoying their favorite Sundowner from the mini-bar. 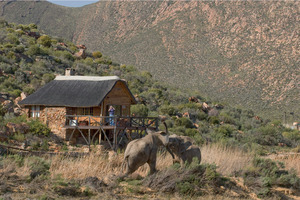 During the winter months, one can curl up by the log fire and reminisce of yet another beautiful day on this reserve. 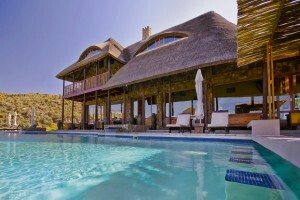 The cottages, as with all the buildings on this eco-friendly reserve, have been architecturally designed and styled to complement nature. 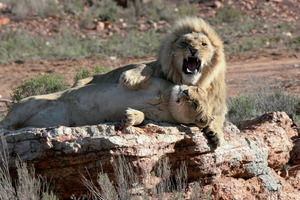 Aquila has Lion as well as free roaming Elephant, Buffalo and Rhino which form part of the African Big 5. 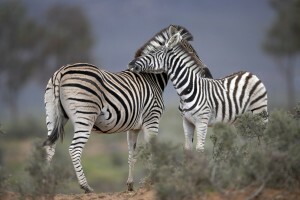 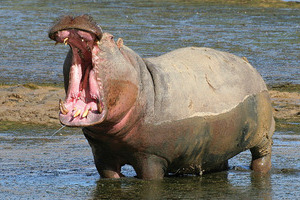 The reserve is also home to Giraffe, Hippo and several herds of game. 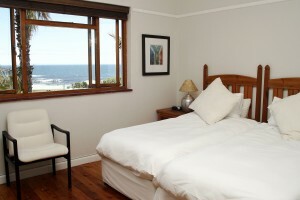 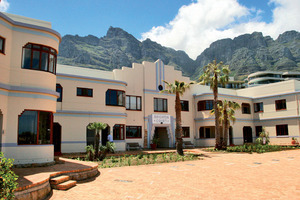 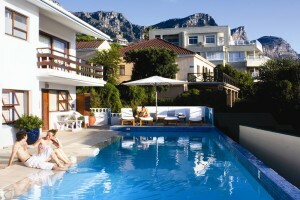 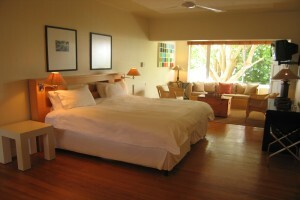 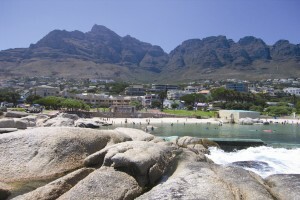 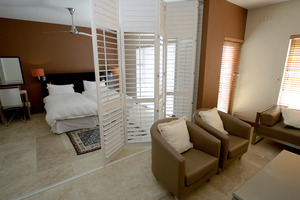 This collection of serviced studios and apartments is located overlooking stunning Camps Bay beach. 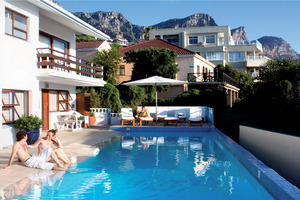 Ideal for a relaxing beach break but also for enjoying all the sites of Cape Town. 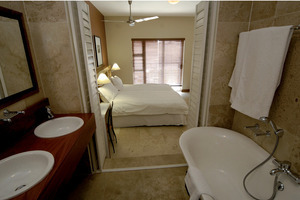 The resort is self catering (breakfast, when staying in most apartments, is included, see details below), so offers complete freedom to come and go as you please, which is great for couples and families alike.